Today we shine a light on one of our longest-standing Creamer varieties and a true fan favorite: Blushing Belle. The name is inspired from the potato’s blushing red skin, which contrasts delightfully with its yellow insides. This combination of red jacket and yellow center is actually a rarity in the potato world – and just more proof that Blushing Belle is a truly special variety. The bite-sized beauty has a mild, delicate flavor and soft texture that suits an array of cuisines, cooking methods and uses. From roasted to smashed and salads to soups – Blushing Belle is a lesson in versatility. It’s so easy to use and complements every kind of flavor, occasion and mood. So how did its rare looks and easy versatility come about? Well, this is a Creamer with pedigree. The variety comes to us from the Old World – Germany, to be specific, where it was developed by one of the country’s oldest potato breeding companies. 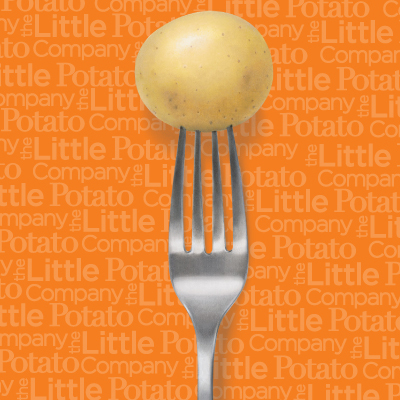 The Little Potato Company is honored to be the only company in North America trusted to grow Blushing Belle. Offered exclusively to our customers, Blushing Belle also delivers all of the nutrition, freshness and convenience you expect from one of our Creamer potatoes. Are your taste buds singing out for Blushing Belle? Check out some of the luscious dishes created just for this very special Creamer!